WHOLE LOTTA LOVEis a Pre Owned 2017 Sea Ray 510 Sundancer that offers 2 staterooms &2 heads. This yacht is powered by twinCummins Zeus 600 QSC engines. She has a great salon and cockpit layout that merges the interior and exterior to create one large and elegant social zone. The split upper and lower salon areas make a great environment for two lounge areas or the ability to dine inside while still having a conversation/lounge area in the lower entertainment area. The upper wet bar area provides a great place to prepare drinks for guests while the lower galley stays out of the way but still connected to the conversation throughout the boat. WHOLE LOTTA LOVEcurrently has only 40 hours on the engines and 120 hours on the generator!! Owner has just had a change of plans and wants to sell. Open checkbook maintenance has always been performed and you won't be disappointed by the condition she is kept in. WHOLE LOTTA LOVE came directly from the factory in shrink wrap and has always been kept under a covered slip in a freshwater reservoir. No exterior scratches or gouges as she has only been out of the slip a few times since being delivered to her owner. 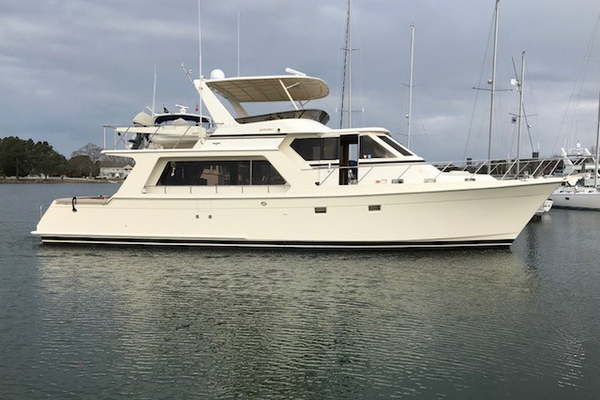 This is a great opportunity to save $$$ on a like new 510 Sundancer. WHOLE LOTTA LOVEis equipped with following factory options: White Hull Gel CoatBlack Canvas T-Zeus 600 QSC (T-574PHP) DSLSS Finish for Sunroom Entry Way DoorCabinetry - French Walnut SatinSurface Finish - Light Eng. Stone upgradeRoman Shade UpgradeExterior - Light Tone -Rncld Mat/Haze UphSoftgoods SY Taupe/SilverSplit A/C System - SunroomSunroof Sunshades - Sunroom (Manual)Cabin Entertainment System UpgradeDSS Satellite TV SystemMacerator w/Seacock Interlock SystemWasher/Dryer ComboMesh Windshield ShadeCockpit Electric Retractable SunshadeGrill, Built-In CockpitCockpit IcemakerCockpit Speaker UpgradeHydraulic Marine Lift Swim Platform SystemLighting, Underwater - TransomManual Hardtop VentTable, Cockpit - Natural Teak w/CoverTeak Flooring - Cockpit w/Entry StepsYacht Flag and Flag PoleRaymarine E125W - AUX DisplayWindlass, All-ChainStainless Steel AnchorOil Exchange System OWNER UPGRADED COCKPIT TABLE TO A BEAUTIFUL HIGH GLOSS TEAK TABLE. United Yacht Sales New Jersey would love to guide you through a personal showing of this 51' Sea Ray 510 Sundancer 2017. 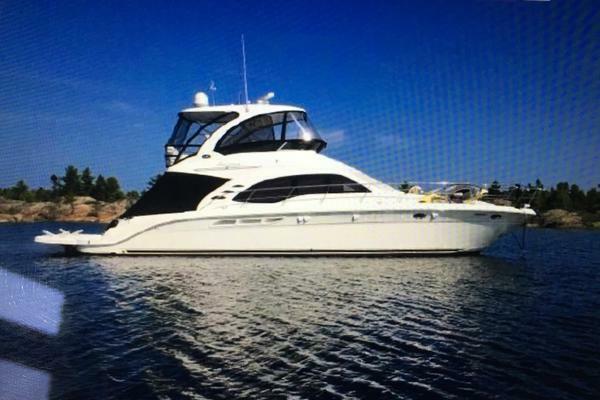 This yacht for sale is located in Lewisville, Texas and priced at $1,150,000. For a showing please contact us by filling out the form on this page and we will get back to you shortly!